Unlabelled A prank that pops-out CD from CD-Drive...!! 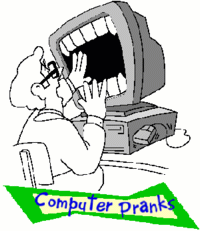 >>In this prank , you can make any PC/Laptop continuously popping out the CD-Drive, by just clicking a Icon...! >>If the victim PC is having more then one drive , this prank will pop-out all of them. >>First open Notepad..and copy/paste this code..! >>Now save this as "application.vbs ". >>Here, you can specify any name in place of 'application'.